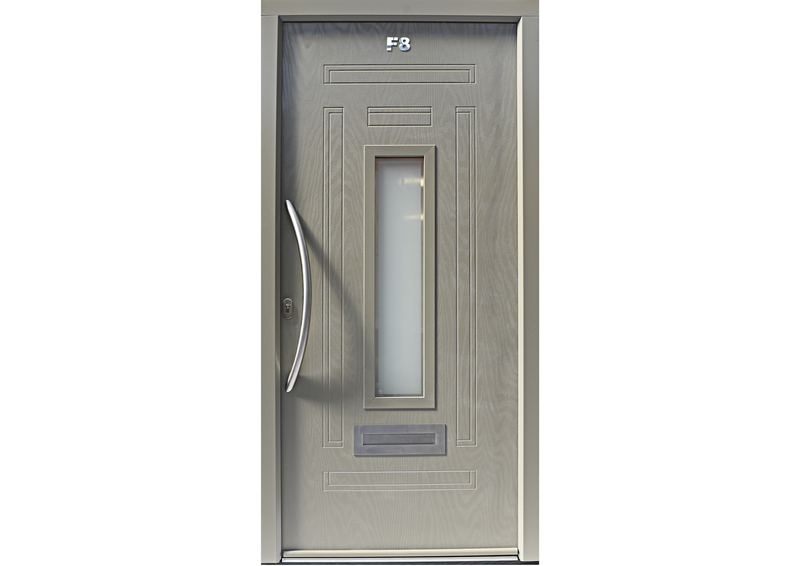 Manchester based Force 8 is well known nationwide for their high-quality composite door ranges that are exclusive to them. The decadence door range features intricately grooved designs giving a distinctive and individual look that appears on the outside and the inside of the door. The appearance of these doors also gives a luxury appearance to your home, enhancing the kerb appeal and adding a touch of sophistication. Our decadence door range is available in a wood grain finish or our recently developed smooth finish, giving the look of aluminium with all the benefits of a composite door. Purchasing a full aluminium door can cost 3 to 4 times more than one of our aluminium smooth doors, proving to also be cost effective. For larger entrances, you also get the benefits of adding side panels that perfectly match your door, giving a further aesthetically pleasing finish. Don’t hesitate to contact Force 8 to discuss our decadence door range. Click here to look through our door designer.